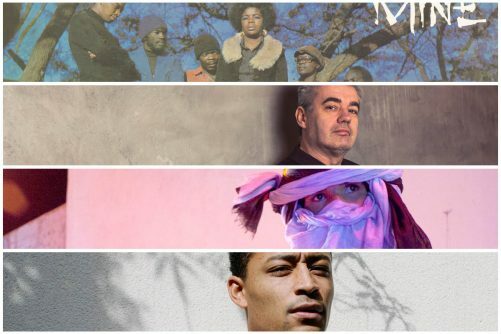 Welcome to the Guide to the Week of Music, a round-up of music news, media and releases from the wide musical world. This week, we look ahead with anticipation to the re-release of a beautiful soul record crafted in Zimbabwe during the mid-seventies. We explore the ambitious new LP of saxophonist and composer Mark Lockheart in our repeat listen and dive into a wealth of new music and visuals, as the music industry hits its stride for the new calendar year. Nyami Nyami records — a Paris-based label specialising in music from Southern Africa — announced the reissue of New Tutenkhamen’sforgotten soul LP, I Wish You Were Here, this week. Recorded in the Zimbabwean city of Harare amidst the turbulence that preceded the Country’s independence, it contains a wondrous blend of soul and jazz styles, with ska, funk and traditional rhythmic elements also feeding into this sound. The release is incredibly rare, despite a song from it being fairly well known in Zimbabwe. As label founder Charles Houdart explained to The Vinyl Factory this week, “People often spoke about the song ‘Joburg Bound’, but only few knew that an LP had been recorded, and absolutely no copy could be found. (There isn’t even an entry on Discogs for it)”. The band were originally known as Tutenkhamen and are said to have started out playing in the Mushandirapamwe Hotel. They disbanded soon after, leading to the formation of New Tutenkhamen with vocalist Elisha Josamu fronting the seven-piece band. Check out the album’s opening track below and find out more about the album here. Read the full article via the Guide to the World of Music website here.